Simple und robust and made in EU - all you'll need for instant and efficient heating. 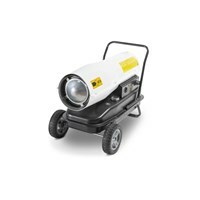 Mobile oil fired heater IDE 20 with a maximal heating performance of 20 kW (17,200 kcal). 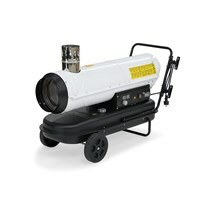 Mobile oil heater made in Europe with 20 kW nominal heat output and no separate exhaust fumes. 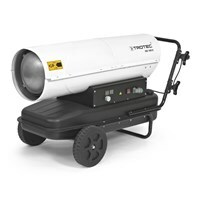 Portable Direct Oil Heater with a nominal heat output of 20 kW (17,200 kcal). 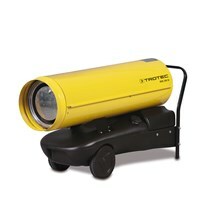 Incredible value for money and a heating performance of 1,150m³. Heart what more could you desire? 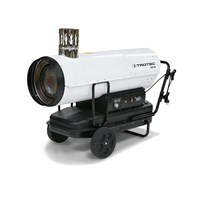 Mobile oil fired heater with a maximal heating performance of 30 kW (25,800 kcal). 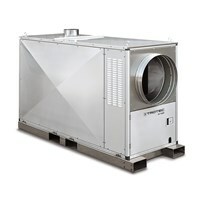 Oil heater made in EU without separate exhaust gas duct but with 38.4 kW nominal heat output. 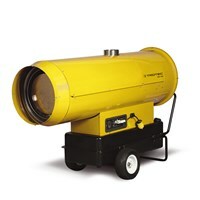 Mobile oil fired direct heater with a maximal heating performance of 30kW (25,800 kcal). 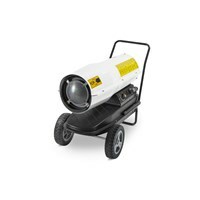 The oil heater IDS 30 F convinces with the heating performance of up to 34,1 kW. Safety first - the IDS models are all equipped with a long list of effective safety features. 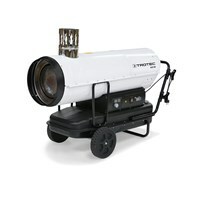 Mobile oil fired heater with a maximal heating performance of 50 kW (44,100 kcal). Mobile oil fired direct heater with a maximal heating performance of 50 kW (44,100 kcal). Mobile oil fired direct heater IDE 60 D with a maximal heating performance of 60 kW (51,600 kcal). 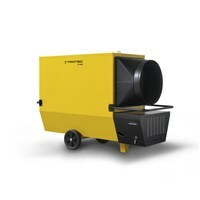 The portable IDE 80 Indirect Oil Heater with a nominal heat output of 80 kW (68,800 kcal). Made in EU and smart design: set it up, switch it on and heat it up. More performance for extremely high demands: Made in Europe! 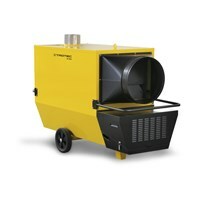 Mobile oil fired direct heater IDE 100 D with a nominal heat output of 100 kW (85.984 kcal). 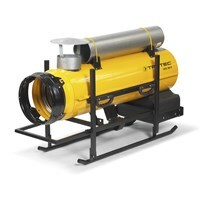 The powerhouse among the indirect oil heating units with an extremely high degree of efficiency. 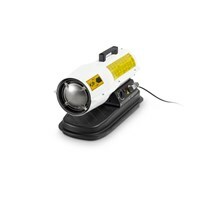 The stunningly impressive ID professional heating units - user-friendly, powerful and reliable. 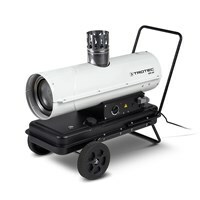 The name is the game - the ID 800 has the credentials to carry out high performance heating. 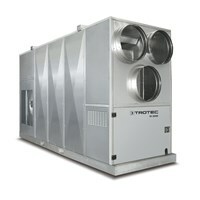 Fully automatic operation with room air control and high pressure radial fan. 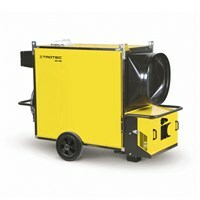 Cold resistant to ambient temperatures to -20 °C. 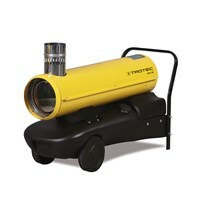 Oil Fired HeatersWe offer for each location the correct oil heater! 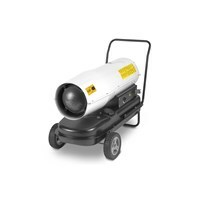 User-friendly, powerful, reliable: from small portable oil heater up to professional oil heater for the commercial applications. 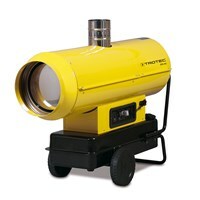 Heating in buildings: Protect buildings, materials, and workstations. 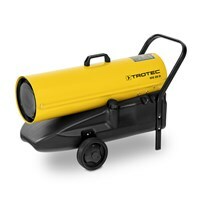 You can act against a cold snap with an oil heater from Trotec, so that you can be sure you will observe the deadline. 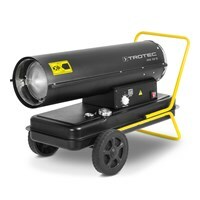 Heating in agriculture and horticulture: the Trotec oil heaters offer warm air for for stables, glass and foil greenhouses in almost all sizes. The advantage to alternative heating systems: If necessary, you heat quickly and without lead time. 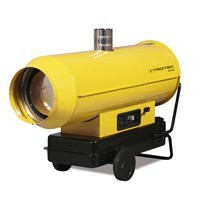 Heating in factories, showrooms and tents:The oil heater from Trotec make even in rough or tight spaces a great job! 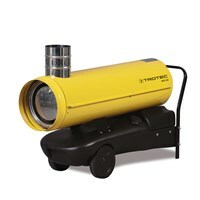 The compact design and the fully enclosed housing allow an easy assembly and disassembly.